The T15™ offers a perfect listening solution for people already using our ER series custom-made hearing protectors, or those that are looking for a combined protection and listening solution. 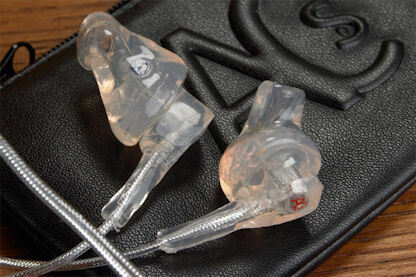 The T15™ is a silicon moulded balanced armature transducer earphone that is designed to fit in place of the ER filter in our custom-made protectors. Both lightweiht and resilient to shock, the T15™ offers superb clarity delivered with the isolation you expect from your ERs. Using a single driver, the T15™ delivers excellent clarity in a lightweight package and, because of the isolation provided by custom fitting, you can listen at safe levels, even in noisy environments. Using the T15™ allows you to use just a single set of ear moulds for both your protection and listening. The fittings are easily interchangable without any tools necessary.